What to do when you are completely broke will be the determinant of your mental and financial toughness. No one would tell you this; “you become highly creative and hyperactive only when you are completely broke.” Might you have noticed right? Yea sure, 90% will definitely agree with me that it happens all the time. 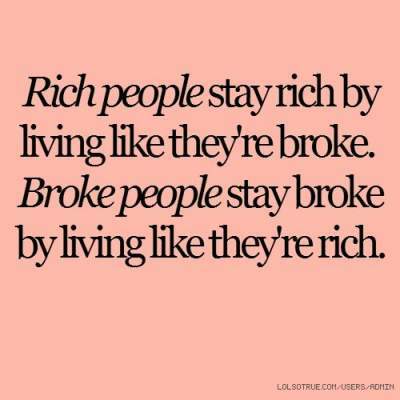 Despite lots of financial awareness on how to stay frugal and live below your means, people still go broke. Why it happens; we can’t possibly say. I am going to tell you what to do when you are completely broke and you’ve rocked ground bottom, but it is up to you to put it into practice. Unless you’ve been broke from birth – then you should sit down and discuss your financial life with yourself. Doctors would tell you that diagnosis is the first step towards treatment of any illness. Since you are financially sick, you have to diagnose what got you into that state. There are a thousand and one things that can make you hit rock bottom financially. Once you are able to figure it out, you can then decide on the proper solution to the problem. Funny enough, I have seen people who had more than one single cause of their broke state. You might fall into the same category as those people, but you just have to figure out what is (are) the cause(s) of your broke state. How do you bounce back to financial freedom when you are completely broke? It might seem quite impossible, but human evolution has shown that there is nothing like an impossibility. Your plan should centre around when, how, and what you should do to create streams of income. You might decide to go the illegal route, good luck; or you roll with the fantastic ideas I would give out in this article. Your plan should come with deadlines to enable put a time frame and condition your mind to be up and working ASAP. Each of the actions listed above should come with a deadline like I earlier mentioned. It would help you position yourself to achieve your aims much faster. No need whining about your condition; it is time to get down to work. I am going to give you a list of money making opportunities you can engage in when you are completely broke. It doesn’t require investments, but you should at least have the right skills to engage in them. If you have the mindset to pay your bills, then you should consider any of the following ways to make money without money. When the going was good, you probably acquired a few liabilities without an idea that they weren’t good for your finances. Now the veil has been torn and you just realized, it would be best you cash out from them. You might not be able to sell them at the same amount you got em, but no cash is bad cash. The only thing you need now is money to start something, and those pieces of stuff are going to be the only way out. No need looking for loans soft or hard, whichever; the last thing you would want is adding more loans to your situation. But if you think you can part with any of them, you can then consider other options. It isn’t a bad idea to do some demeaning jobs when you don’t have money. 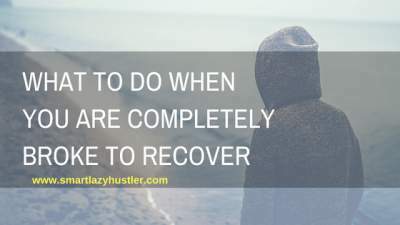 It is some of what to do when you are completely broke. There are lots of manual jobs you can start up. I personally had to go wash dishes in a Chinese restaurant close-by my crib. It wasn’t fun but I used it as a stepping stone to raise the funds I needed – since I already had a plan. Forget every other thing, you need cash and you need it asap. It doesn’t matter any more. What needs to be done has to be done. There are little things you can do that can legally put cash into your pockets. I can go on and on; but the fact is that when you look around you, you would discover the needs of people. You can go ahead and fill it; that in return would put money into your pocket. Now you have the cash, don’t spend it – don’t even try it. There are several small businesses you can set up, investments that are secured that you can undertake, and online businesses that can make you about $400 in 2 months. Any of them should be the right place to invest the little money you have. 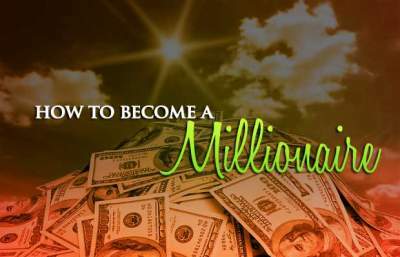 There are also other ways to make money that are legit and pays straight up. Guess what, you can even start a niche website and make money blogging. The result might not be instant, but you can create a lifetime source of income from there. I also recommend you try out Amazon Kindle publishing. It gives a faster ROI than blogging if you are dedicated to making money from it. Any need still trying to figure out what to do when you are completely broke? I guess this post has solved and answered all emerging question. Have you ever been broke? Share what you did that made you money. If you have questions, please ask them using the comment section.